Mike vs. The Driveway is a humorous essay about author Michael Boulerice’s ill-fated journey to visit his best friend during the holidays. Everything that can go wrong, painful and downright strange does, and fast. You’ll cringe, you’ll gasp, but most of all, you’ll laugh. This is the first in a series of essays Michael will be making available through Amazon. 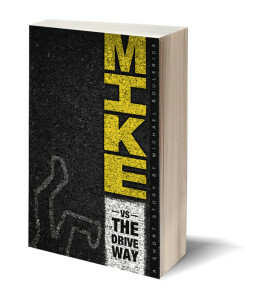 FAIR WARNING: If you're reading Mike vs. The Driveway on an airplane, prepare for everybody to look at you like you're some kind of giggling mental hospital escapee.